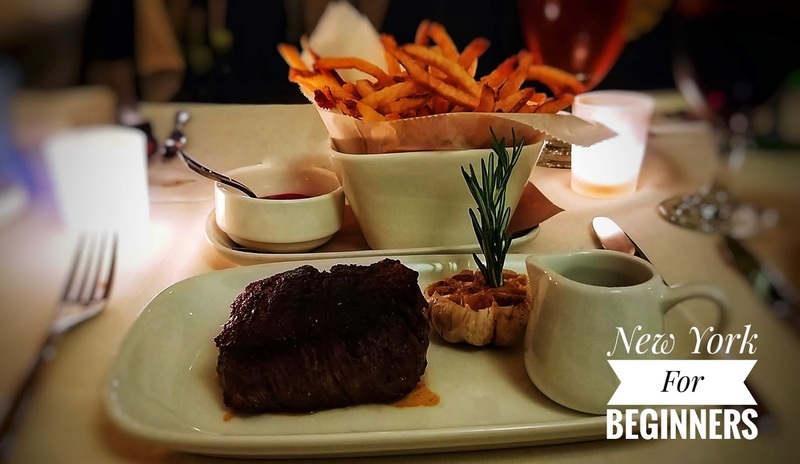 New York City is full of dining options, but finding that perfect spot that combines a chillax vibe with the best steak the city can offer is a very serious matter. 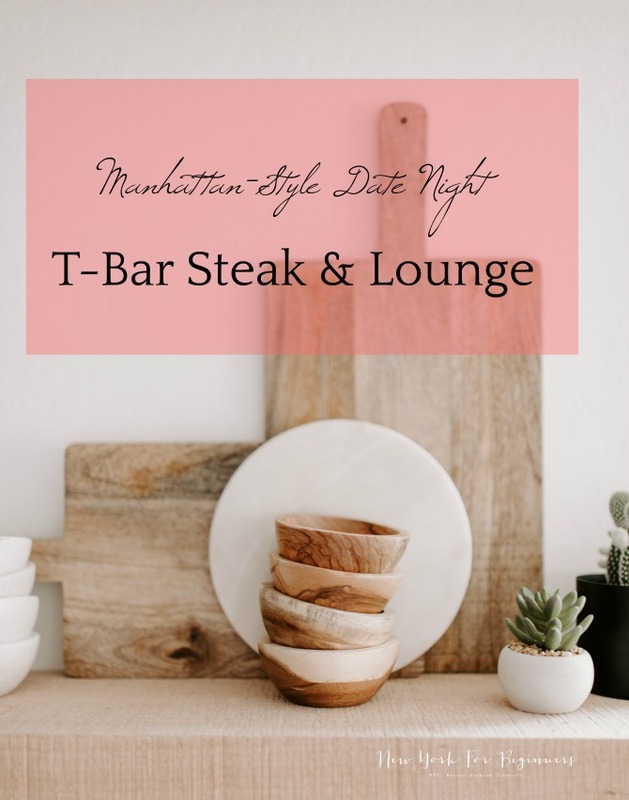 T-Bar Steak and Lounge is one of those few classically-chic Upper East Side eateries with an outstanding cuisine and an elegant but relaxed space. An ideal place to wind down for date night, chef Ben Zwicker puts a new spin on the classic upscale steak house. 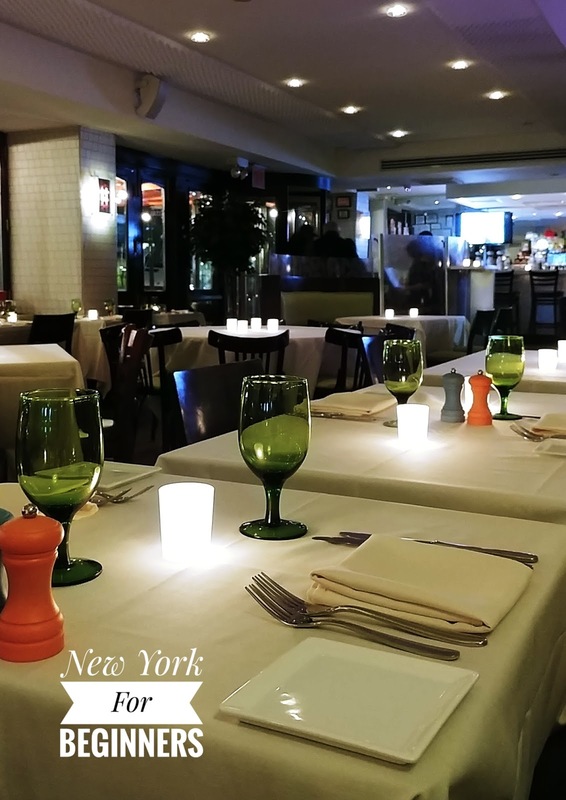 With a menu full of choices for even the pickiest of eaters, it is the perfect spot for a memorable date night in New York City. 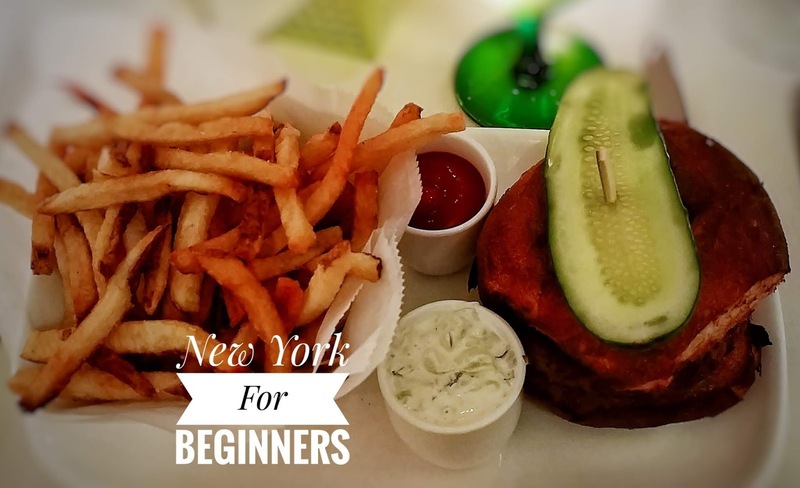 As New York For Beginners is composed of two international foodies, we were recently invited to try T-Bar Steak & Lounge‘s hospitality for the first time. 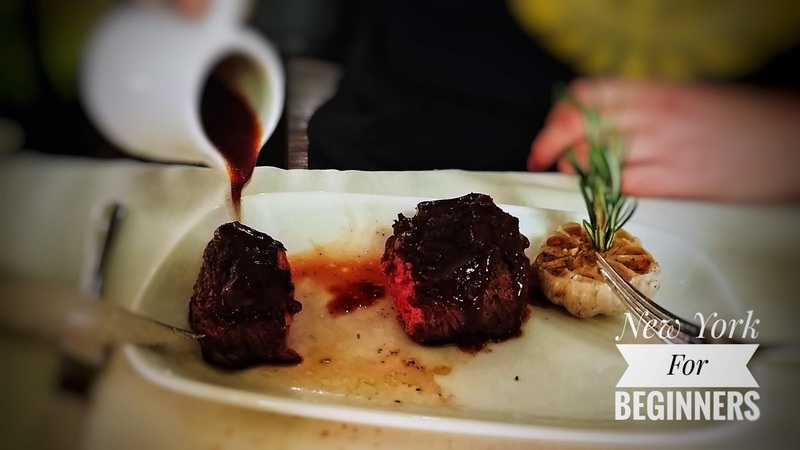 This is our honest review of what we consider to be one of the best places to get a steak cooked to perfection without the fuss and rigidness that accompany upscale menus. Get ready, because your mouth will surely water! When confronted with a vast range of dishes, I personally prefer to concentrate on a main course so I can enjoy dessert. In case you hadn’t noticed yet, I basically don’t care about that fast on the lips, long in the hips saying. Life’s too short not to order dessert. Period. So at T-Bar Steak & Lounge we were confronted with a terrible dilemma. To steak or not to steak? We obviously decided to steak with a twist. We ordered a Black Angus Filet Mignon ($39.00) with Steak Sauce cooked to perfection. And by that I mean we literally told our server to please order it cooked enough so it didn’t bleed and gross me out, while still retaining all the gooey juices that make a great steak. Not an easy task since this one piece of steak had to satisfy two hungry (and very picky) eaters with very different tastes in meat. Guess what? It was cooked to perfection, the meat was tender and juicy, and the skinny home fries were everything a girl can ask for. Tasty, tender, and a burst of comfort food. 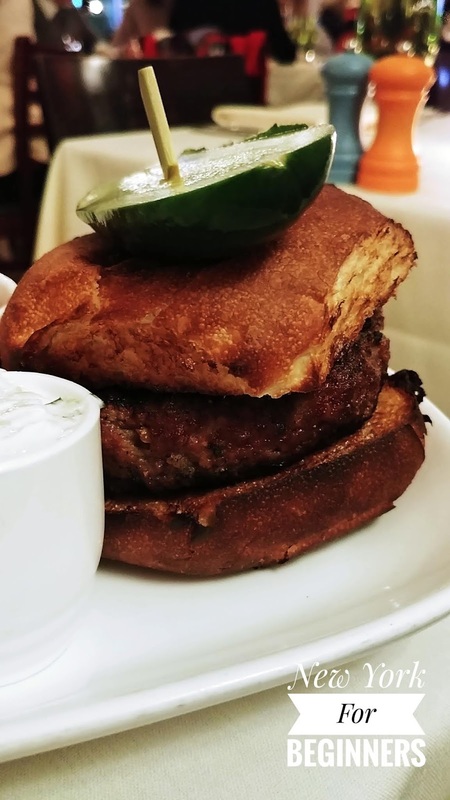 For the sake of diversifying our choices, we also settled on a Colorado Lamb Burger ($26.00) with cucumber, yogurt and mint to share. In this occasion, the burger came with a spicy twist in the form of chili flakes for a burst of unexpected flavor. Although I couldn’t partake in its joys for long since I am intolerant to chili and hot spices, I have to admit that it was a wonderful lamb burger that was very carefully crafted. My dignified guinea pig (a.k.a. the second foodie that makes up the team of the website) raved about the dish, and praised the delicate balance between the lamb meat and the clever seasoning. A well-interpreted rendition of a classic with Mediterranean flavor, it was a conversation piece hours after our meal ended. Meat juiciness aside, did I mention how mindbogglingly huge the portions are? It is quite surprising since the menu has many different choices (including salads, seafood, appetizers, burgers, and steaks) and everything we saw being served had very generous portions. Yeah, I am the type of person who will forego an entree to enjoy an excellent dessert without being too full. Desserts merit my full and undivided attention. At T-Bar Steak & Lounge, desserts are taken seriously. So much that they serve a party of two to three people! I personally cannot think of a better way to celebrate date night than indulging in some sweet, sweet chocolate. So Chocolate Sundae ($20.00) it was! Sweet tooth dreams are made of brownie, cream, and a scrumptious chocolate sauce, so my choice was the perfect end to a fun night. 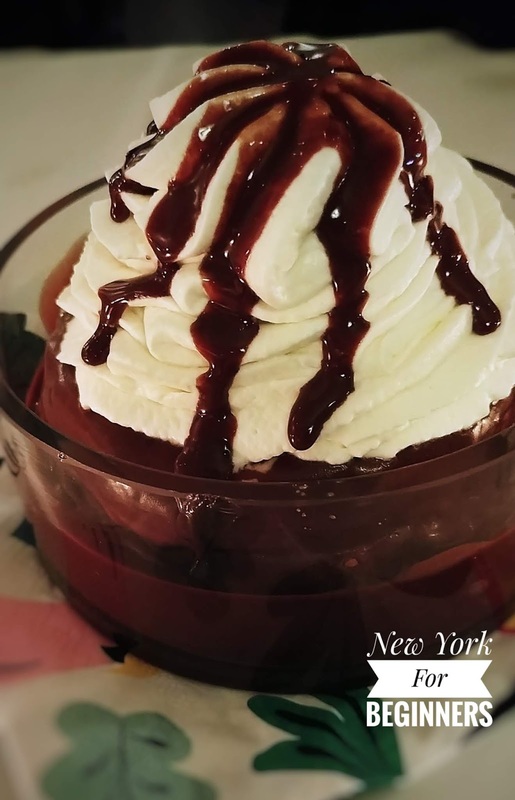 Perfectly gooey with a touch of old-school decadence, it made me feel I had stumbled upon the perfect Diner dessert with an upscale touch. Looking for something different to celebrate date night? T-Bar Steak & Lounge is a new spin on the classic upscale steak house that is perfect for the foodie in your life. I can attest that mine is still raving about the experience! Disclosure level 1: The author received NO compensation to write this post. T-Bar graciously invited us to test their restaurant with no strings attached, which didn’t affect the opinions stated. 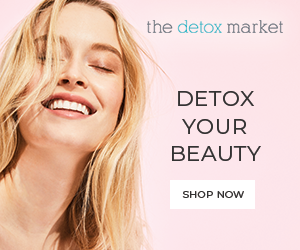 The article includes NO affiliate links and they are featured to inform the reader. That looks so yummy. I’ll definitely have to check it out. I love discovering new places. Hi, Taima! If you do pay them a visit, don’t hesitate to share your opinion with us. 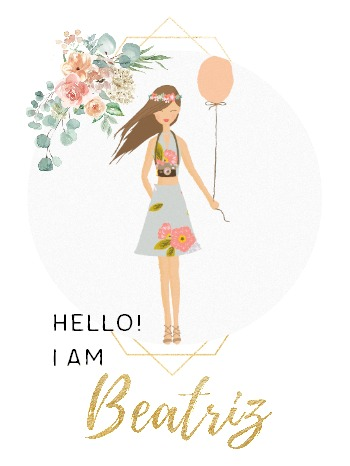 We had a great experience and we hope you do the same! We also love discovering new dining options and New York is definitely full of wonderful places to eat 🙂 Thank you for visiting and commenting!